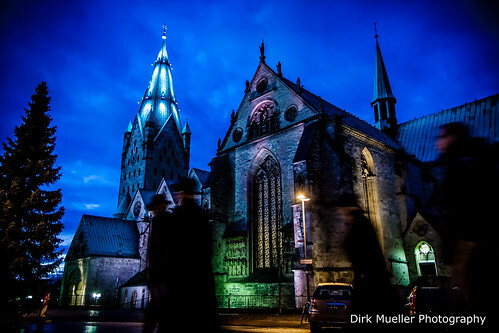 Cathedral of Paderborn, a photo by Dirk Mueller Photography on Flickr. Paderborn Cathedral (German: Paderborner Dom) is the cathedral of the Catholic Archdiocese of Paderborn. It is located in the city centre of Paderborn, North Rhine-Westphalia, Germany. The cathedral is dedicated to Saint Mary, Saint Kilian and Saint Liborius.